Morning after, Day ahead...: Another life lost...was addiction to blame? On every news station and media outlet is the most recent updates regarding the death of legendary singer, Whitney Houston. Houston, who died on February 11, 2012 of unconfirmed causes, was unfortunately affected by the demon of substance abuse. Although, the cause of death is unconfirmed many are speculating that her addiction to illicit drugs, namely crack-cocaine, could have contributed to her death. It's also been stated that the prescription drug, Xanax, was found in the hotel room where her body was discovered. Xanax, otherwise known as alprazolam, is a benzodiazepine commonly used to treat anxiety and panic disorders. The most common side effect of the medication is drowsiness and/or sedation and when taken with alcohol can intensify such side effects. Some are questioning if Houston consumed the Xanax with alcohol, as she was found in the bathtub under water. Yet, these are all speculations and no definitive conclusions can be reached until the toxicology report is released. 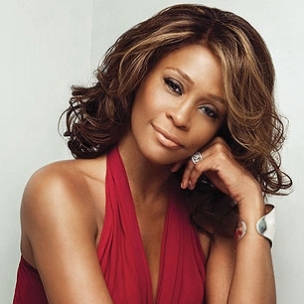 Until then, the public will continue mourn but celebrate the loss of such a beautiful vocalist. In the past year, music has lost 3 legendary icons who all shared something in common...substance abuse. Unfortunately, illicit drugs aren't going anywhere, anytime soon. However, each one of us has the power to do something to help fight against substance abuse and its deleterious effects, if we so choose. Almost everyone I know, knows someone addicted to alcohol or drugs. But many aren't sure of how to approach the individual in an effort to help. The link to the resource is provided below, but I have also included the information in its entirety in the "Wellness" section (as the information is quite extensive). If you know someone who is dealing with substance abuse, think about how you can help. By no means, do I think just by talking to someone you can magically change their lives. But I do believe in planting the seed. Hope heals...so hold on to the hope that your courage to say something will be their starting point.